From the response we got on Saturday evening's trip to Target/Heaven apparently there are those out there who are interested in knowing if The Chief has held his final pow wow (so to speak). No, he is still here, right here, between me and the keyboard. Did you feel that squirm? That is was him getting comfy. There's just no rushing The Chief when he's got a pound a week to gain and amniotic fluid to float around in. And now allow me to answer (candidly) some of your questions. Am I dilated? I don't know. I've decided not to care. Such things have driven many a good woman batty at a time like this. My pupils are dilated for sure though because it is dark in the Retro House and I am typing by the light of my laptop. When is my due date? What is a due date? A number that pops up on a little laminated wheel chart at the doctors office? Is it the date your computer gives you when you type in the date of your last period on baby.com? A message from the ultrasound machine after measuring your baby's cranial? I don't get it. I think the Gods laugh at us. I just read that only 5% of babies are actually born on their "due date." Where is the comfort in that prediction? I tried to attach numbers to my body when trying to get pregnant. It didn't work. Sometimes I ovulated on day 11, others on day 16. My cycle was sometimes 24 days, other times it was 27. 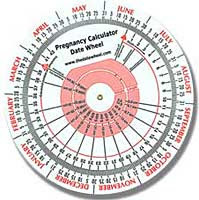 If numbers didn't predict my fertility then why should I attach numbers to it now? And that is the short answer. What is your birth plan? I eloped to Vegas to marry my husband, that should tell you something about how I coordinate(i.e. plan) my momentous life events. Also, I am going to eat sushi directly following the birth. Sushi. Sushi. Sushi. Not that I've denied myself during the pregnancy, it's just that I can never get enough of Mercury. Mercury. Mercury. Do you have a name? Yes, but I go by c jane when I am blogging. How are you feeling? Positive, hopeful, maybe a little sarcastic in conversation. My body has amazed me these past nine months. Everything is just getting more intensified here at the end. I love it. What a funny ride. If you'll excuse me, the wind is blowing outside like mad. There is talk of barometric pressure inducing births. The Chief and I need to do some conversing before the rain starts to fly.